Vintage rc airplanes are radio controlled planes that represent the Golden Era of aeromodelling, with some designs dating back to the 1930s. Like old cars, such planes are easily identifiable by their classic looks! Back in the day, of course, model flying was a very different hobby. The earliest model airplanes to be self-propelled were done so by rubber bands, and soon these naturally evolved in to larger internal combustion powered free flight planes as technology developed and allowed the production of model IC engines, notably diesel ones in the early days. The earliest record of powered radio control flight gives 1937 as the year, with the model airplane and radio gear being built by Michigan engineers and model airplane enthusiasts Dr. Walt Good and his brother Bill. 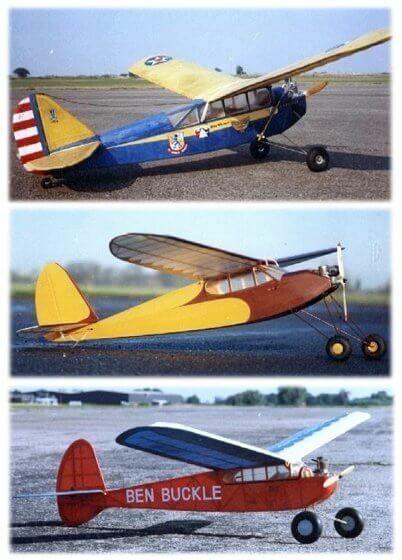 Today, vintage radio control planes have that same classic look and style as 'Big Guff' (as their plane was named) had back in 1937, but modern engines and radio gear have brought them up to date. And of course with the electronic revolution that has changed the face of our hobby, electric motors can now power vintage planes. Some aeromodellers go a step further - the plane is electric powered, but a 3D-printed vintage style engine casing hides the electric motor and retains that classic vintage look! Traditionally, such airplanes were powered by diesel motors and there are still some manufacturers producing them, primarily for vintage model airplane use. 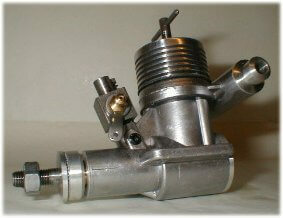 The British based company Progress Aero Works (PAW) make a range of traditional diesel airplane motors, such as the classic 1.49cc example shown right. vintage Buccaneer built from an original 1937 plan. I built this one in 1985. My Buccaneer was a joy to build, as vintage rc planes are. I covered it in Solartex iron-on covering and I used an Acoms radio. It was maidened by a local hobby shop employee; the flight was successful but he warned me that the transmitter batteries were low, so I should not fly it again until the batteries were charged. Obviously as a 15 year old kid I knew better, so decided to fly it anyway after he'd gone home. Sure enough, after take off the plane went out of radio range and spiralled in to the ground! A heart-breaking moment indeed, and a hard lesson learned. I did rebuild it, and it flew again many times. 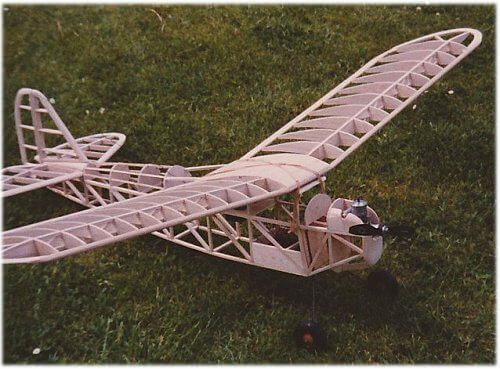 Vintage airplanes tend to be large in size and use traditional balsa wood construction techniques, making them great models for anyone who enjoys the building side of the hobby as much as the flying side. Their large size makes them slow and gentle flyers, and a typical set-up for a modern day vintage plane is to use a 4-stroke glow plug engine and 3-channel radio with control to throttle, elevator and rudder. Below is a short video of my friend's Majestic Major in action, a true vintage classic! (sorry about the poor quality audio because of the wind). 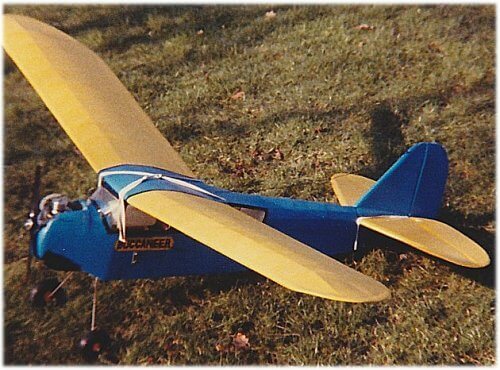 If you like the idea of flying something big and gentle, vintage rc airplanes offer an excellent opportunity. They are inherently very stable and forgiving, and are very satisfying to build!